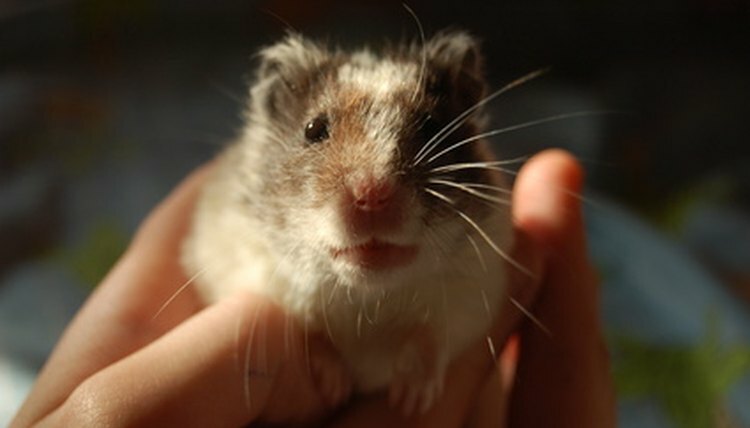 You can't force a hamster to enjoy being held -- instead, you have to give him time to adjust to you, then to come to your hands, and gradually to learn that being handled is a good thing. Remember, even a child is much, much bigger than any hamster, so handling them indelicately can be frightening or even threatening. You don't want your new little buddy to be afraid of you, so give him time to get used to the idea of being handled. Before long, he'll love spending time in the palm of your hand. Start by simply spending time with your hamster while he's in his cage. Even if you're just sitting there reading or watching TV, being in close proximity to him helps him adjust to your presence and see that you're not a threat. Do this every day for at least a few days after bringing him home without disturbing him otherwise, except to feed and care for him. Give him treats by hand. Lower your hand into his cage with a treat in your upturned palm, and leave it there until he comes to get it. Do this at least once a day so he'll come to associate your open hand with reward. Scoop him up in your palms, using both hands together so he has room to move around. Begin this practice only after he has become comfortable with the presence of your hands. Hold him for short periods of time -- just a few minutes at first -- and gradually work your way up to longer periods. As he gets more comfortable with being handled, take him further from the cage. For example, you may hold him in your hands or lap while you watch TV. The important thing is to give him room and not constrict him. If you restrict or grip him, he'll feel threatened and will try to wriggle free. Bring him out of the cage to play every day. Keeping him in an enclosed area free of hazards like electrical wiring, give him the freedom to roam around and explore. This boosts his confidence and shows him he is safe in your presence outside the cage.